As part of the United Nations Environment Programme, the Convention on International Trade in Endangered Species of Wild Fauna and Flora, or CITES, plays a central role in the world-wide fight against the trafficking of endangered plant and animal species. The CITES convention is in essence an international treaty. CITES was drafted as a result of a resolution adopted in 1963 at a meeting of members of IUCN (The World Conservation Union). The text of the Convention was finally agreed at a meeting of representatives of 80 countries in Washington DC., United States of America, on 3rd March 1973, and on 1st July 1975 CITES entered in force. Today CITES has a „membership“ of 175 nations, including the Czech Republic, which committed itself to the Convention in 1992. Member nations pledge to ban commercial international trade in an agreed list of endangered species, and to monitor closely the trafficking of plant and animal species at risk of becoming endangered. Both living specimens and animal parts and by-products (e.g. medicines and ointments) are covered by the Convention, and the export of these is permissible only upon official confirmation that they are not, or do not contain elements of, recognised endangered species. In the Czech Republic, the Ministry of Environmental Protection is responsible for regulating such matters. Brno Zoo has in its care many species protected by the Convention, including: Sumatran Tiger, Sri Lanka Leopard, Chimpanzee, Grevy's zebra, Kiang, Blue and Yellow Macaw and others. EAZA is the membership organization of the leading zoos and aquariums in Europe and the Middle East. Brno Zoo has been an ordinary member of the Association since 1997. Animal preservation projects of the European Endangered Species Programme, or EEP, are referred first to the European Association of Zoological Gardens (EAZA) for approval. Each species selected to be the subject of such a programme is allocated its own project co-ordinator and a studbook. The co-ordinator maintains accurate and up-to-date records of all members of the particular species found within the EAZA network of zoos. The co-ordinator controls all transfers of animals between member zoos, with a view to creating the most compatible breeding pairs and/or groups for successful future procreation. The focus of all EEP projects is the preservation and regeneration of critically endangered animal species. Brno Zoo is presently involved in programmes for a number of such species, e.g. Wolverine, Gelada Baboon, Palm Cockatoo, Beaded Lizard, Maned Wolf, Sand Cat, Grevy's Zebra, etc. In the beginning of the year 2000 it was decided that the Brno ZOO would be given membership into the World Zoo Organization (WZO). The presentation of ZOO Brno was recognized by a festive moment during a sitting at the WZO in South Africa in Pretoria in autumn of last year. Participants of the act were interested especially in the conception of a strategy developed for the Mnisi hora and the Standing Exposition of Aquarium. These files are named The Cessation of Evolution, but have not been completed. Presently, these files add to the thoughts of the founder of modern genetics J. G. Mendela from Brno. The World Zoo Organization (WZO) was renamed in the year 2 000 on WAZA – World Association of Zoos and Aquariums. The creation of an affiliation of zoological gardens in the Czech Republic and Slovakia was a natural and predictable event following the political break-up of the former Czechoslovakia. The Union was established in 1990 at Bratislava. Its constituent members became 13 Czech and 2 Slovak zoos. 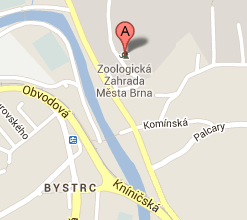 Today 15 Czech and 4 Slovak zoological gardens are its members. There is wide co-operation within the Union between the 19 member zoos, especially in the breeding and rearing of endangered, exotic (i.e. non-native) wildlife species. But special attention is also given to the nurturing of species native to Central Europe, where Slovakia and the Czech Republic are situated. On a wider scale, the Union itself co-operates with various international organisations for the furtherance of wildlife protection, and it participates in a number of international programmes for the preservation of endangered species. The Brno ZOO has been a member of an international organization for protecting the cultural and educational work of individual membership of the Zoological gardens (IZE) since 1999. The Zoo Brno has become a member of this institution in 2001.